Deputy Prime Minister Trinh Dinh Dung has asked the Ministry of Industry and Trade, the National Oil and Gas Group, and the US’s ExxonMobil to speed up negotiations on the development and exploitation of the Ca Voi Xanh (Blue Whale) gas field. At a meeting with Paul Greenwood, ExxonMobil Vice President for Gas and Power Marketing in Hanoi on October 10, the Deputy PM lauded the firm for its engagement in the project, which is significant to ensuring national energy security and operating thermal power plants in the central region. 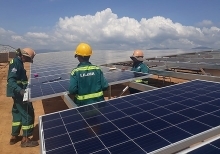 He reaffirmed the Vietnamese Government’s commitment to creating optimal conditions so the project could start pumping gas out from the Ca Voi Xanh field in 2023. 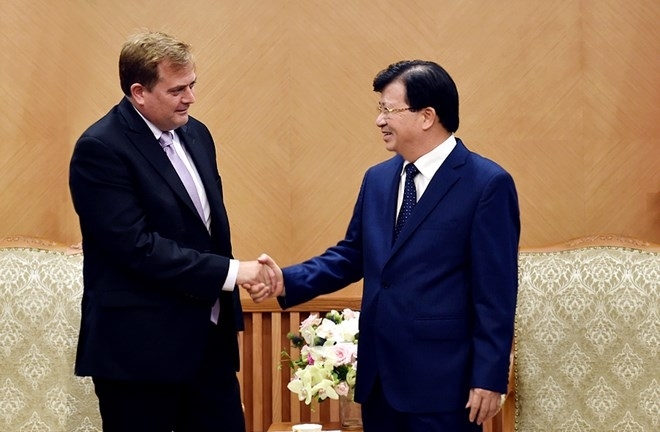 For his part, Greenwood said that the project is important for ExxonMobil in fostering cooperation with Vietnam in exploiting and producing oil and gas products. He gave some proposals on removing obstacles for the firm and the Vietnamese side to soon reach the final agreement. The Ca Voi Xanh field is about 100 km east of the central coast. The Prime Minister has recently approved the construction of four gas-fired power plants in Quang Nam and Quang Ngai with total capacity of 3,000MW using gas from the field. The PM has also agreed to use part of the gas exploited from the field to develop the oil refinery industry.